The digitally connected young of the world in naturally growing their being digital (Lee and Broadie, 2018 a) have increasingly taken charge of their learning with the technology, and developed – invariably unwittingly – the vital art of knowing how to learn autonomously. It is a core educational capability they will use, and naturally evolve everyday lifelong – albeit outside the school walls. It is a new, historic normal that governments and most schools are seemingly unwilling to recognise or build upon, most preferring to perpetuate the myth that learning in a networked world must continue to occur only within school walls, taught and assessed in a structured manner, by professional teachers. In recent years, even the very young – before they can read and write – have instinctively taken advantage of the freedom given them by their digitally connected families to naturally grow their ability as autonomous learners. It is a natural development, and a vital educational capability that parents, governments and educators should be more consciously recognising and developing. In providing the young the agency and the technology, and freedom to directly access to the learning of the networked world, free of the traditional gatekeepers, the families have enabled their children to grow being digital (Negroponte, 1995), (Lee and Broadie, 2018 a), and in their everyday use of the technology to take charge of much of their learning, and to naturally evolve their ability to learn autonomously. It is a historic step few schools are willing to take. It gives the young a powerful base upon which to grow their learning, to use the tools in their hands creatively and to use the myriad of evolving digital resources available. 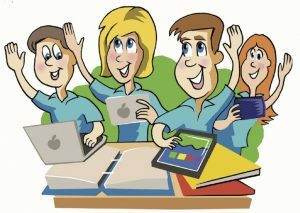 They can author their own e-books, create their own blogs or videos, instantly use the likes of Google, YouTube, Wikipedia or the array of streaming services, and draw upon their friends, networks, learning packages, interest groups and specialist sites when desired – without ever having to involve a school teacher. That said, they can readily collaborate in their school studies, if the school desires. Perhaps most importantly the development has enabled near on two billion digitally connected young (UNICEF, 2017) to naturally, instinctively and largely invisibly grow their ability to learn what they want lifelong, by simply using the evolving technology provided by their families. Daily they grow their capability by doing, by discovering, by turning to friends, peers and the resources online, and searching out the assistance they require, the moment desired. Twining (2018) uses the expression ‘human learning’ to describe the approach. It has none of the fanfare, structure or cost of traditional school learning but has been immensely efficient and effective in readying near 70% of the world’s young to know how to learn, and thrive within, and accommodate a world of accelerating societal change. While schools have struggled to remain current in the digital world the young outside the school daily operate at or near the cutting edge with the technology, giving scant thought to ease with which they evolve in harmony with the accelerating change. It gives all the young, but particularly the marginalised of the world, the opportunity to naturally shed intergenerational disadvantage and to take charge of their learning and lives (UNICEF, 2017). That said the corollary is that those without the digital connectivity will be further disadvantaged. For aeons governments and educators have proclaimed the importance of individualising learning, and teaching the students how to learn. Those aspirations appear in most nation’s guiding educational principles. They are seldom effectively addressed. Aged organisational structures, tightly prescribed common curriculum, the pre-occupation with specified outcomes and standards, the focus on class groups, norm-referenced assessment, common skills tests, and external national exams all work to ensure the learning is not individualised, and the students are not readied as autonomous learners. They are simply taught how to learn in a supervised environment. Outside the school walls, in taking advantage of families laissez faire approach to learning (Lee and Broadie, 2018 b), the young have over the last twenty plus years individualised their learning with the digital to a degree never seen in schools, and globally would appear to have taken major strides in learning how to learn lifelong with the evolving technology. On reflection, there has been a suite of related developments that have combined to bring about this historic change. From the mid 90’s the young globally instinctively opted to take charge of their out of school use of and learning with the digital and the online. They were happy to use the support provided online, and that of their peers, but saw little need to call upon their school teachers (Purcell, et.al, 2013). From the outset, the young adopted a laissez faire approach to learning with the digital, an approach based on trust, empowerment and agency, antithetical to the structured ‘control over’ model used by schools worldwide. The approach gave the young the freedom to learn what they wanted, how, when and where they desired, using the tools they thought best for the situation. Control was very much with the learner. It was a highly flexible approach, that allowed the child to collaborate with peers, to socially network, to play with the new, to try things, discover, innovate, take risks and learn from experiences. Importantly it obliged the learner to make judgements and to call the play. By the latter 90’s the Tapscott study (1998) was able to identify the traits and mores the young had universally adopted in using the online and the digital. It also noted that for the first time in human history the young often knew more about a key area of learning than their elders. Tellingly those traits had naturally grown in the young’s every day, fully integrated use of the evolving technologies. One of the traits to emerge early was the adoption of a digital mindset, where the digital underpinned near all human activities, becoming increasingly powerful, sophisticated and all – pervasive. In marked contrast to the school focus, the young, and increasingly their parents, were focussed on learning what would assist them in their everyday lives, today. They decided what they wanted to learn, not the ‘experts’. The young’s out of school learning has been – and continues to be – characterised by its on-going, highly dynamic nature. There is an unwritten recognition of needing to remain up to date, able to use the desired current technology the moment desired, lifelong. They appreciated the imperative socially, educationally and likely economically of working at or near the cutting edge. The learning is moreover strongly individualised from very early in life, the digital empowered young using the technology to pursue their own interests and passions. While ready to seek support from the technology, that online, the family, friends and from around the age of six to network with others (Chaudron, et.al, 2018) the children take charge of their own learning with the digital. In pursuing their own interests and passions they soon tailor their suite of digital tools and capabilities, tools and capabilities that will evolve and change as the technology becomes more sophisticated and they mature and vary their interests. This is evident from the age of three onwards (Chaudron, 2015, Lee and Broadie, 2018 b) with siblings invariably quickly – and rightly – developing different digital skillsets. We say ‘rightly’ very deliberately, because children in different global settings, with different interests and needs should grow the apt capabilities, and do as we all naturally now do and develop those used most. In a world of diverse interests, and uses of the digital technology it is naïve to assume – as most school authorities now do – that all the nation’s young should learn a common, ‘one size fits all’ set of practises. The moment a game changing technological development occurs the young will rightly use the facility, happy to discard or trash the superseded technology. In individualising and continually updating their suite of digital tools and capabilities the young are naturally- but likely unwittingly – evaluating their needs, and growing the ability to take charge of their learning in a continually evolving, often uncertain digital world. History reveals the young have continually been to the fore in the adoption of the new technologies and practises (Lee and Winzenried, 2009), handling with ease the accelerating evolution, with no hint that is about to change. That capability has been enhanced at all age levels by having immediate connectivity, the young being able to use the digital and the networked world the moment they believe it is important. It might only be photographing a noteworthy moment, contacting peers for assistance or checking information but is that sense of control that is important. It allows them to learn just in time and in context. Something that would not be allowed in most schools. very early in life, naturally growing their ability to use the evolving media for the desired purposes (Chaudron, et.al, 2018). Critically the signs indicate they will naturally evolve that capability lifelong, with family and peer support, regardless of what the schools do, developing their capacity to use the myriad of apps and online resources the moment desired. The Apple and Google app stores alone each have over two million different apps. Significantly the young, seemingly worldwide, have grown – and are daily growing their understanding how to learn, particularly with the digital with no assistance from most educators or schools. We are not for a moment suggesting that capability can’t be enhanced. It most assuredly should be. Few of the young will for example be developing the many skills associated with scientific, or the broader academic learning. They will need to be grown. But grown in a manner that builds upon the attributes already acquired, attributes the young will continue to evolve lifelong regardless. Those attributes must be valued, not as now devalued and dismissed as trivial. Ideally the work of the young and their families should be complemented by the schools. But at this stage history strongly suggests most schools and governments will continue to refuse to collaborate, dismissing the efforts of the families, and asserting that only they can, and should teach the young how to learn (Lee and Broadie, 2018b). The young’s naturally learning how to learn is shaping as another historic change in youth education, and another instance of where the invariably tightly controlled, and inflexible traditional school approach to learning will remain at odds with the learning and education of the young of the world outside the school walls. Once again it seems likely it will be left to digitally connected families or the exceptional visionary schools to markedly enhance this critical educational skill. This entry was posted in 24/7/365 digital education, 24/7/365 schooling, Being digital, Digital ecosystems and student learning, early childhood digital normalisation, impact of mobile technology on children's education, Knowing how to learn, laissez faire digital education model, lead role of young and family in digital education, pre-primary digital normalisation, The Digital and Empowerment, Unintended benefits digital schooling on November 13, 2018 by mallee. This seemingly mundane management issue, that most educators view as just that, challenges the very nature of schooling. Are schools in democracies places where the state compels a compliant youth to learn what and how government believes is appropriate, or are they organisations that assist an increasingly digitally empowered young ready themselves for life, work and learning in a rapidly evolving, often uncertain, digitally based, connected and socially networked world? Are they physical institutions that must unilaterally control every aspect of learning of an appropriately compliant, subservient youth within the school walls, or are they learning organisations that work with all the ‘teachers’ of the young in assisting provide an apt, balanced, holistic and largely individualised education? The litmus test to these questions is whether the school believes it must unilaterally control the choice and use of the personal technology within the school walls, or whether it is willing to trust and empower its students, and give them the freedom and responsibility to use their own suite of digital technologies astutely in all facets of their learning, including that within the school. Educators as a group don’t appear to have grasped how important it is for the world’s young to be digitally empowered, and to learn from naturally using that capability. It is akin to owning one’s first car, but much more. It is not simply having one’s own highly sophisticated, immensely powerful technologies. It is having the agency to use those technologies largely as one desires, and taking control of one’s use and learning with those technologies. And being able to do so very early in life, before they can read and write, and to do so 24/7/365 lifelong. It is an agency enjoyed by near 70% of the world’s young (ITU, 2017), (UNICEFF, 2017) – albeit outside the school walls, with the trend line moving at pace to near universal digital connectivity. it is increasingly changing childhood (UNICEF, 2017, p1). Until schools and their governments appreciate that digitally empowered young are the new normal, and are willing to adjust their ways, to relax their control, to trust and empower those young people to use their ‘own’ kit astutely and creatively in class schools will never normalise the use of the digital, nor play any meaningful role in assisting the nation’s young grow being digital. Schools will remain doing the digitalwithout ever being digital. It is appreciated that won’t unduly worry many teachers and governments. But it does means most schools developmentally will move into a state of evolutionary equilibrium, unable to evolve as digitally mature organisations which can continually transform their operations and accommodate the accelerating digital evolution. Daily they will lag ever further behind the young’s everyday learning with the digital outside the school; their teaching becoming increasingly dated and irrelevant. The national implications are considerable, particularly when the research (Lee and Broadie, 2018) suggests 70% – 80% of the nation’s schools show no inclination to forgo their control. Most will thus do little or nothing to enhance the capability of the vast human resource digital economies have in their digitally connected young. The moment schools decide they – and not the students – must choose the personal technology the young will use in the classroom they forgo any hope of assisting grow the nation’s young being digital, having the digital invisibly underpin all school learning, of moving the school from an analogue to digital operational mode, and having it join and assist grow a networked society. The decision relegates the school to the digital backwater. In announcing its unilateral control of the technology, the school is proclaiming that it intends to maintain its traditional ‘control over’ ways, and that any use of the digital must fit within those ways. It is saying to the students and their families that not only do we know best, but we distrust you, are not willing to empower you, and we don’t value or recognise the lead role you have played – and are playing – in learning with the digital. It is saying being digital is unimportant, and that a digitally empowered young – working with their teachers – are incapable of using the digital astutely and creatively in enhancing their learning in all areas of the curriculum, at all stages of learning. Schools and governments worldwide seemingly don’t appreciate the very powerful messages they send when they make seemingly innocuous management decisions about the control of the digital technology. It is imperative as a school leader you understand, and are aware of the wider educational and national ramifications of the decision. Five conditions are critical to the sustained natural growth in learning with the digital (Lee, Broadie and Twining, 2018). Self-directed learning, able to collaborate when desired (Lee, Broadie and Twining, 2018). 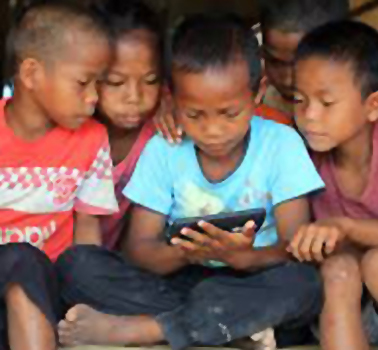 Those five, closely related conditions go a long way to explaining why over two billion young (ITU, 2017), (UNICEF, 2017) are digitally connected, digitally empowered and have normalised their everyday use of the digital, and why so few schools have yet to do so. If – and we appreciate it is a huge ‘if’ that pertains to the nature of schooling you wish to provide – your school wants to normalise the use of the technology, assist grow the students being digital, and vitally use the digital to enhance all their school learning it needs to understand why the digitally connected families – and the exceptional schools – have succeeded, and why most schools have failed. Critical is that digitally empowered students can use their ‘own’ suite of digital technologies largely unfettered within the school walls, and have ready connectivity. That carries with it the school’s and teacher’s appreciation of how best to build upon that ownership to grow the learners and their learning. It entails a willingness to trust students to use in their everyday school learning the technologies they already use 24/7/365, the need to empower them, recognise, to value and build upon the students being digital, while understanding how they can take advantage of that capability in their teaching. It obliges the school to understand this is a digitally empowered generation, with a digital mindset, ever rising expectations, who have long taken charge of their learning with the digital, who will do so lifelong, who have grown being digital by naturally using the apt technologies in near every facet of their lives and knowing how best to take advantage of that digital skillset. The schools can, if they desire complement and add value to the students being digital, but only if they are prepared to support already empowered students use of their own kit in the ways they are accustomed. Understand it is not about the technology per se. It about how each of us in a digitally connected world, from around the age of three through to death, can control the use of, and learning with that suite of continually evolving technologies. It is about being able to do largely what we want, when and how we want. None who are digitally empowered tolerate ‘big brother’ telling them what they can and can’t do with their personal technology. That intolerance is amplified with a young that have only ever known a digital world, who have long taken charge of its everyday use everywhere except within the school, that have successfully individualised its application and which are likely to be more digitally proficient with the current technologies than most of their teachers. While it might come as a surprise to many, educators need understand the world’s digitally connected young will only use the teacher directed, structured, linear approach to learning with the digital used by schools when compelled. It is antithetical to the all-pervasive, highly integrated laissez faire approach they use every day. History affirms (Lee and Broadie, 2018) that when the schools insist on tightly controlling the student’s choice and every use of the digital it will do little or nothing to enhance their being digital, their learning how to learn with the technology or crucially their learning in all areas of the curriculum. All it does is reinforce the traditional analogue mode of schooling, its hierarchical operations, its unilateral control of teaching and largely closes the door for digitally empowered young to use their very considerable, digital capabilities and digital tool kit in their school learning. Under the ‘control over’ model the ‘experts’ invariably decide on an ‘appropriate’ device, the operating system, software, apps, set up, storage, maintenance arrangements, upgrades and replacements. Their focus is the group, on all students using the same set up, with scant if any regard given to personalising the set up or individualised learning. It is the technology that matters not the learner. The ‘experts’ decide on the school’s ‘acceptable use policy’ (AUP). And how the technology will be deployed, used and monitored. 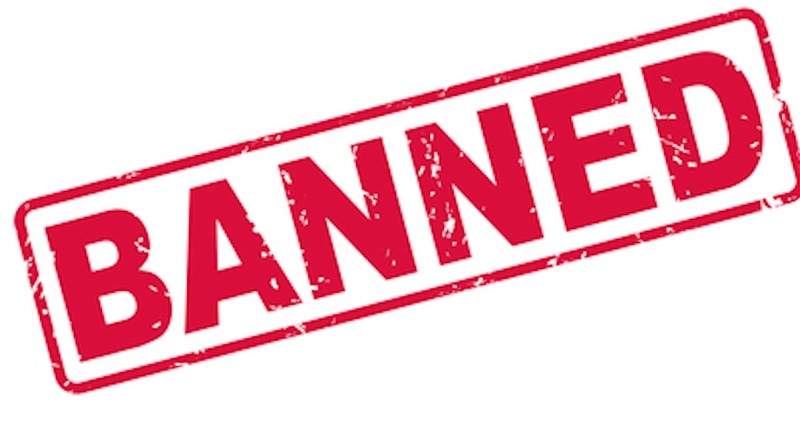 Significantly they also decide – for the students and teachers – which digital technology will not be allowed; from the mid 1990’s banning most of the personal digital technologies and online services the students used 24/7/365 outside the school (Lee and Broadie, 2018). In most schools, particularly at the secondary level, the technology will likely only be used within specific ‘computing’ or ‘ICT’ classes. Net connectivity is tightly controlled and censored. Teacher permission is needed, and usually only allowed when the teacher thinks it is appropriate. The focus is insular, on that happening within the school walls, within its operating hours, less than 20% of the young’s annual learning time. Digitally empowered students and parents have no say in the technology used, the curriculum, the teaching or the assessment, they simply complying with the experts and teachers dictates. In letting the students use their own suite of digital technologies the school – perhaps unwittingly – takes a significant step towards adopting a more inclusive, networked mode of schooling, that seeks to genuinely collaborate with its students, families and community in providing an apt education for an ever evolving digitally connected world. By distributing its control of the resourcing and teaching, and sharing it with the individual learners and their families the school is readying the move from an analogue to digital mode of schooling. It positions the school and its teachers – at no cost – to continually work in class with students using the cutting-edge or near cutting-edge technology, and to largely overcome the growing technology lag evident in the ‘control over’ schools. It allows the students to continue to direct much of their learning with the digital, to use the tools they know and use 24/7/365, that they have tailored for their learning style and to use those parts of their kit they – and not the experts – believe will best do the job at hand. It provides teachers the freedom to work closely with their students, to take on their ideas, to be flexible and when is all is working well to step to the side and let the learners direct their learning. In working with the student’s technologies, the teachers quickly recognise the individual learner’s interests and capabilities, able to tailor their teaching accordingly. Importantly it also provides the school with a bridge to the families, providing an insight into the capabilities and resources of each, making it that much easier to support and add value to the efforts of the families. In exploring the work of those exceptional schools (Lee and Levins, 2016) that for some time have encouraged their students to use their own technologies the authors were struck by their willingness to genuinely collaborate with their families, to value and build on the out of school learning, to remove from the curriculum material already learned and to integrate the use of the digital in all areas of learning, and all school operations. Everything appeared so natural. No one thought twice about ceasing to teach digital proficiency and simply building upon the student’s learning. That said while the use of the digital was central to all operations, and Net access was appreciably greater than the ‘control over’ schools, connectivity was primarily through the school’s network, and as such appreciably more constrained than outside the school. It was also evident – a reality confirmed by the case study follow up – all the schools studied were aware that at this point in the history their efforts to vary the mode of schooling were dependent on the current head, and that a change in the principalship or government could see the school revert to its traditional form, with years of effort wasted. Within the developed nations of the world virtually all the young are digitally connected, and empowered, having only ever known a digital and socially networked society. Their upbringing has been – and continues to be – within digitally connected families, with ready access to all manner of highly sophisticated personal digital technologies, and increasingly powerful, tightly integrated digital ecosystems. From very early in life they have been provided their ‘own’ kit, connectivity and trusted, empowered and supported to use that technology largely unfettered. 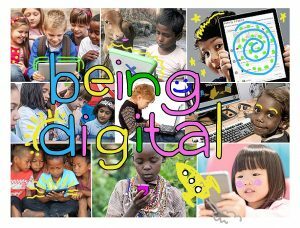 By three most children born into digitally connected families will be digitally empowered, and have begun the lifelong journey of taking charge of their use and learning with the digital, understanding how to learn with it, and naturally and confidently growing their being digital. They are never going to relinquish that power. While ever schools refuse to attune their ways to the new reality the young, with the support of their digitally connected families, will continue grow their being digital outside the school walls, continually evolving their capability, and daily widening the gap between the in and out of school use of the technology. Digitally empowered young are never going to going to embrace a highly structured ‘control over’ approach to learning with the digital where they are disempowered, devalued and subservient. Rather as a vast, growing and evermore powerful cohort they will likely increasingly expect society and its schools to accommodate the changing world, and to attune their ways and adopt a mode of schooling where digitally empowered young normalise the use of their personal technologies. As a school leader contemplating the way forward appreciate you are deciding on the desired nature of the schooling, and not simply a minor management issue. This entry was posted in 24/7/365 digital education, 24/7/365 schooling, Banning mobiles, Banning smartphones, Being digital, BYOD, BYOT, Digital normalisation, digitally connected families, early childhood digital normalisation, Elementary and high school evolution, Evolving school ecologies, Failure school digital education, ICT evolution in schools, impact of mobile technology on children's education, laissez faire digital education model, lead role of young and family in digital education, networked family, parent responsibility for digital, parents and smartphones, pre-primary digital normalisation, responsibilities of digitally connected families, The Digital and Empowerment, Trust and school transformation on October 29, 2018 by mallee. It will likely come as a surprise to most teachers and governments but the new reality is that the digitally connected families of the developed world are far better positioned than schools to grow the children’s being digital from birth, and to lead their learning with the digital. At first glance this might appear an outrageous observation. However unwittingly, and largely unseen, the digitally connected families have over the last twenty plus years naturally and largely unseen developed the many strengths that give them considerable advantage over even excellent teachers working within highly constrained linear, hierarchical Industrial Age schools. While the strengths of the family are on trend to grow at pace so too are the constraints on teachers, pointing strongly to the schools in their teaching with the digital lagging increasingly behind their families. The seemingly obvious solution – exemplified in the exceptional schools and classrooms – is for the school to genuinely collaborate with their families in growing the children’s 24/7/365 learning with the digital. But – and it is a very considerable ‘but’ – at this stage in history no government, national or provincial appears to want that collaboration. The authors can find none that have articulated the educational, social, economic and political advantages of doing so. All appear to want to maintain their unilateral control of schooling, and its traditional form and ways, affording only limited importance to being digital. That said as a professional educator working within a digital and socially networked society, striving to provide your students an apt education for the contemporary world it is important to appreciate why the digitally connected families are so well positioned, to understand their strengths and why the trend line is pointing to the schools and teachers being only able to complement and add value to the work of the family. the digitally connected families have led, and will continue to lead in growing the young’s being digital, and why schools in a networked society should be pooling the resources and expertise of the families and the school – not trying to compete. The strengths of the digitally connected family. The parents. They – not the school, nor government, nor the tech industry – have ultimate responsibility for how their children use and learn with the digital technology outside the school walls. In leading a small, highly agile self-regulating family unit, in total control of its operations and budget the parents have both the power and freedom to call the shots the moment desired. Laissez faire environment.The family unit operates within in a market driven, largely laissez faire economy, free of any government control, with the autonomy and agility to do what it wants, when it wants and to respond instantly to continual accelerating change. Learning culture.The digitally connected families have invariably created highly supportive learning cultures, where the digital is central, and the children are trusted and empowered to use the latest technologies largely unfettered, able to largely take charge of their learning with the digital 24/7/365. The contrast with the distrust, disempowerment, and the control exercised by schools over the children’s every action is stark. Natural evolution.The family is free to evolve its use of and learning with the digital naturally, able to shape the emerging global megatrends to advantage. As the unplanned, unintended developments occur they can optimise them. The young and their families have in learning with the digital naturally, instinctively and unwittingly adopted a remarkably common approach worldwide, creating the same kind of supportive learning cultures, developing similar capabilities. Nationality, gender and the family’s finances don’t appear to vary the fundamental nature of the learning with the digital all that much (Chaudron, et.al, 2015). Importance of the digital.Study after study from the early 90’s onwards has identified the importance most families worldwide attach to their children having the current digital devices (Lee and Broadie, 2018). That research is backed by their buying pattern, with it being the parents – not government – who have funded near two billion (UNICEF, 2017) young people’s technology and digital connectivity. Positive outlook.The young and most of their families from the 90’s have been highly positive with the digital and online, grabbing the opportunities opened, exploring all manner of possibilities, trying things, taking risks, with many continually pushing the envelope. Importantly that have addressed the pitfalls that come with marked change in a largely positive manner. In contrast, most schools and governments for twenty plus years have been reactive, often negative, preoccupied with the possible risks, doing what governments have done historically with all new technologies, focussing initially on the dangers. Digital and socially networked mindset. Over the last twenty plus years the young and their families have grown an increasingly stronger digital, and socially networked mindset. It is outward looking, continually seeking to take advantage of opportunities opened by the networks and the increasingly interconnected world. Most schools in contrast still employ an insular, inward looking, analogue mindset, and operate as artificial walled communities. Common sense and instinct.On reflection, since the 1990s the families have shown eminent common sense, shaped in large by their natural instincts. Their focus has been their kids. The young and their families have embraced and enjoyed using and learning with the digital. It is cool and a must have. The challenge has always been to limit the usage. Control from birth to being digital.The family is in control of the young’s learning with the digital from birth. Children born into digitally connected families will by three be well on their way to being digital, and will have adopted the mode of learning with the digital they will use lifelong. The die is cast before government or teachers come into the play. Digitally empowered. The very young enter school digitally empowered. It is a control they will exercise throughout life, relinquishing it reluctantly only when compelled. Focus on the individual learner. Educationally the family’s concern has always been the learning of each child, the individuals, understanding the importance of each taking charge, each developing their own set of capabilities. While schools have for years spoken of individualising the learning none have gone close to what the families have achieved. In fairness, it is appreciably easier to do so with a couple of kids than hundreds, but it is a strength of the family unit. 24/7/365, just in time, in context.In being digital and using the digital every day the young are free to learn anytime, anywhere they believe apt. They don’t have to wait until the teacher, curriculum and timetable allows. Self-directed.From the early in life the children take charge of their learning with the digital, deciding what they want to learn, how, when and with the support of whom and what resources. In having that agency, they, not the education authorities decide what is to be learned, the children quickly individualising their learning, putting them on the path they will follow lifelong. Informal, naturally sustained integrated learning– where the children, in taking control of their learning instinctively adopt a highly integrated, invariably non-linear approach, that naturally accommodates the changes brought by the evolving technology. They have no obligation, unlike teachers, to pursue a common, authority prescribed, linear instructional program that is only updated periodically. Digital normalisation. Children today born to digitally connected families have invariably normalised the use of the digital well before entering school. The digital is a natural, almost invisible part of their life. While the families globally have rightly chosen to support that normalisation, most schools have not opted to try. Learning in a continually evolving digital world. The digitally connected young have naturally developed not only their digital proficiency, but also the art of updating that proficiency in harmony with the evolving technology, full well understanding their learning must evolve lifelong. It is a capability that goes a long way to ensuring they use the current technology and technological practises, and take the opportunities opened by them. Natural adaptation. History (Lee and Broadie, 2018) reveals the ease with which the young have been able to adapt their use and learning with the digital, to do their own thing, to use it to assist their school studies, and when obliged to use it compliantly within the classroom. The superseded technologies, the iPods, the Nokia, the CDs, DVDs, the games consoles, the myriad of cables and chargers quietly disappear into the cupboard. However, history also reveals most schools lack that adaptability, unwilling or unable to change their ways, beholden to the set curriculum, assessment procedures, insisting the young and their families do what the school/authority requires. No formal assessment, exams or reports.None of the very considerable constraints associated with student assessment that exist in the schools are found in the digitally connected families. They have never shown any desire or need for continual assessment, formal hand written exams, term reports and the associated stresses, loss of learning time, hassle and administrivia (Lee and Broadie, 2018). No sorting and sifting. The family, unlike most schools are not obliged to continually rank the children, to compare performance and to perpetuate the Industrial Age practise of sorting the future ‘managers’ from the ‘factory workers’. No accountability. Again, in contrast to the schools where virtually every operation must be justified and accounted for the digitally connected families are free to do what they want, never having to justify their approach – other than to themselves. Bureaucracy free. Learning with the digital within the digitally connected family could well be one of the few situations in modern society where government bureaucrats play no part. The family is free to do as it wants, when it wants without operational guidelines, budget committees and government buying and accounting procedures. Family set controls. The family, often as a unit, often unconsciously and sometimes with the parents calling the shots, sets the ‘rules’ and controls on the use of and learning with the digital. It can thus readily change the controls as the kids mature, respect the trust shown and the technology evolves. Trust and empowerment.While the families of the world have long been willing to trust, and empower their children to take charge of their learning, most schools have not. Freedom to learn. The same holds here. One of the great plusses of an informal education has always been the opportunity for the young to explore new worlds, to dream, to create, to pursue their interests and passions, and occasionally to break a limb. The digital adds a new dimension to that facility. Immediate digital use. The young, outside the school, have immediate use of the desired digital tools, physical and online, not constrained by the myriad of human and technological controls and blocks found in schools. Networked learning.One of the great strengths of the young today is that they value, from around the age of six (Chaudron, et.al, 2018) human networking, and naturally, and likely unwittingly use it in their everyday learning. Family learning. One of the largely unseen but very powerful features of the young’s learning is how much naturally occurs within the family setting, ranging from the very young mimicking their siblings and parents, the kids knowing more than their parents, the parents providing quiet guidance and the occasional strong nudge, and the nuclear and extended family going about their everyday networking, naturally, unwittingly growing their learning. All benefit. Personalised. The young in digitally connected families have ready access to their ‘own’ suite of continually evolving digital technologies, acquiring what they want, free to set them up as they desire to accommodate their learning style and interests. Johannsen (Johanssen, et.al, 2016) noted that 91% of Danish children 0-8 had ready access to tablets, with 42% having their own. In brief the young have agency over both their learning and the tools, in marked contrast to most schools where they have no agency. Connectivity. The same is so with the digital connectivity. Within the home and on the move, they are largely free – depending on age – to connect the moment desired. Within the school connectivity, as all will attest, is tightly controlled, and even when permitted is invariably is done through censored networks. Outside the school connectivity is a core part of learning, where within most schools it plays only a peripheral role. History highlights (Lee and Broadie, 2018) the continued early adoption and use of a wide array of the emerging personal technologies by the young, they quickly becoming proficient with the new. History also shows them using most of the technologies well before the school, often years before and in many instances using technologies never allowed in schools. Family ecosystem.All the out of school learning is – usually unwittingly and unseen – assisted by increasingly powerful family digital ecosystems, aided in turn by the family member’s networking with other ecosystems. Think back a decade and note how the family digital ecosystems have grown, become that much integrated and powerful, the number of devices now in sync and what the future scenario will likely be. Using all the desired technologies. One of the oft forgotten strengths is the families use of all manner of digital technologies, the games consoles, PVRs, smart TVs, high end digital cameras, Go Pros, smart watches, fit bits and all manner of mobiles, desktops and apps. In contrast, most schools opt to use only the one ‘appropriate’ device, the specified software and ban all other technologies. Willingness to use the technology that can be afforded.In contrast to the schools that seemingly have a thing about using only quality kit the young, particularly those in the less affluent situations are happy to use any that will do the job, be they hand me downs or the lower end Android technology. They are willing think laterally to get what they want. The key variable is the expertise of the user not the gear. There are undoubtedly other strengths. Notwithstanding the above are an impressive set of capabilities. Collectively they go a long way to explaining why most digitally connected families are far better placed than their local school/s to lead the way in learning with the digital and to do so in the years ahead. They also affirm why astute schools and teachers would do betters to complement and enhance the contribution of the families, and not like now, try and compete. This entry was posted in 24/7/365 digital education, 24/7/365 schooling, Banning mobiles, Banning smartphones, Being digital, Digital ecosystems and student learning, digital evolution, digitally connected families, early childhood digital normalisation, impact of mobile technology on children's education, laissez faire digital education model, lead role of young and family in digital education, parents and smartphones, responsibilities of digitally connected families on October 24, 2018 by mallee. National accommodation of the young being digital? A national policy question for a group highly versed in the impact of the digital. Developed nations have for the first time in human history a near universally digitally connected young – with considerable agency over their 24/7/365 use of the digital – who, with the support of their digitally connected families have naturally grown being digital. A similar uptake in connectivity is happening at pace in the underdeveloped and undeveloped worlds (ITU, 2017). Governments and schools have played no real part in that burgeoning connectivity or the growing of being digital. Developed nations seeking to grow their digital economies unwittingly have in their youth being digital a vast, largely untapped human resource – on trend to naturally evolve and grow. If successfully built upon nationally it could go a long way to ensuring the nation stays or moves increasingly to the fore. The resource has grown naturally and largely unseen over the last twenty plus years outside the school walls – totally unplanned, a natural outcome of the Digital Revolution. The question for you – can nations accommodate the development and consciously build upon it in an astute national education strategy? Can highly competitive economies afford not too? Can governments that want to control and micro manage every facet of schooling accommodate the natural unplanned seemingly chaotic evolution – where the young have embraced a mode of learning with the digital antithetical to the school approach? But can every school, every head, every school administrator, every tertiary educator accommodate planned, structured and unplanned laissez faire learning? Can highly inflexible, insular linear hierarchical Industrial Age schools provide a learning culture that accommodates the digitally empowered young? Are the legacy systems of the developed societies too hard to change? Would most governments, schools and tertiary educators even want to change? Do nations adopt a way forward – shock horror – that like now by-passes formal schooling? Do we have to wait for the parents get angry before real change occurs? This entry was posted in 24/7/365 digital education, 24/7/365 schooling, Banning mobiles, Banning smartphones, Being digital, BYOT, Curriculum for Digital and Socially Networked Society, digital schools, digital transformation, digitally connected families, early childhood digital normalisation, Failure school digital education, impact of mobile technology on children's education, laissez faire digital education model, lead role of young and family in digital education, networked schools and society, parent responsibility for digital, parents and smartphones, Politicking Digital Evolution, Politicking school change, responsibilities of digitally connected families, social networking and schools, The Digital and Empowerment on August 6, 2018 by mallee. Three years ago, we embarked in researching the history of the digital education of the world’s young between 1993 and 2016, concerned the world’s schools were making little progress in going digital. The journey took us into unchartered, and largely unseen and yet fascinating territory where the families of the young globally had for the past twenty plus years successfully readied the young worldwide to learn with the digital, from birth. More than 60% of the world’s young are now digitally connected, and have normalised the 24/7/365 use of the digital – with no financial support from government. We are delighted to be able to now share our insights into this historic educational development – with the release of Digitally Connected Families: And the Digital Education of the World’s Young, 1993 – 2016. At this stage, it is only available as an e-book. It is – as far as we know – the first historical analysis of the young’s learning with the digital, in and out of schools, in the period 1993 – 2016, from the release of Mosaic and the world going online, through to roughly today. The desire was to provide a research base upon which the authors’ and others could build. This entry was posted in 24/7/365 digital education, 24/7/365 schooling, Being digital, Digital ecosystems and student learning, digital evolution, Digital normalisation, digitally connected families, early childhood digital normalisation, Failure school digital education, impact of mobile technology on children's education, laissez faire digital education model, lead role of young and family in digital education, networked family, parent responsibility for digital, parents and smartphones, pre-primary digital normalisation, responsibilities of digitally connected families, school digital ecosystem, The Digital and Empowerment, Unintended benefits digital schooling on May 23, 2018 by mallee. Children born into digitally connected families will likely be digitally connected and proficient by the age of three, be operating in the state of being digital, and have adopted the natural mode of learning with the digital they will use throughout life. The implications of this quite recent global development are potentially profound, but still largely unseen. The new reality became increasingly apparent in researching the authors’ Digitally Connected Families (Lee and Broadie, 2018a) and readying A Guide for Digitally Connected Families (in press). In examining the digital education of the world’s young since 1993, in and outside the school walls, and analysing the key developments in the period, particularly within the pre-primary years the following pattern emerged. What we now know is that the children will likely learn with the digital from the day they are born – if not before – and mum and dad post the first photos and videos of the newborn to their friends and social networks. The parents – indeed the family’s – every use of the touchscreen technology will be observed, internalised and mimicked by the child from that day on. In the same way children have always learned. By the latter part of the first year of life the child will be trying to swipe on the family smartphones and tablets. 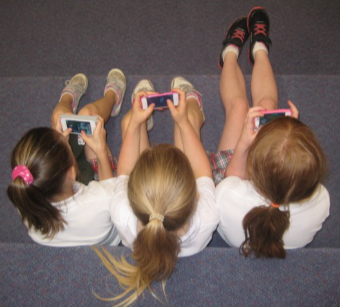 By the latter part of the second year, and most assuredly by the third most children will be readily using all the main functions of the smartphones and tablet, will have begun taking control of their learning with the digital and using the laissez faire mode of learning with the digital (Chaudron, 2015), (Lee and Broadie, 2018). 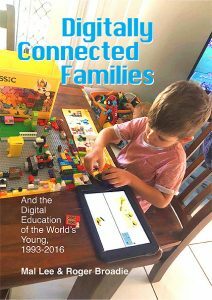 By three the signs and research (Chaudron, 2015) suggest most of the world’s children in digitally connected families will be largely directing their own learning with the digital. Moreover, they will naturally, though unwittingly, be operating in the state of being digital (Lee and Broadie, 2018b), having adopted a strong digital mindset, and grown and be using the core capabilities they have acquired in their natural informal learning with the digital (Lee and Broadie, 2018a). As with much learning in the formative years of life the die is seemingly largely cast very early, well before the children start school. By three they will likely have adopted for life an approach to learning with the digital almost diametrically opposite to that used in most schools. While more research is required, particularly into the likely inherent aspects of being digital, ten plus years use of the touchscreen technology by the pre-primary globally, and a recognition of the children’s use of their inherent visual intelligence already provides an important insight into the pattern of learning. As indicated in ‘Being Digital’ (Lee and Broadie, 2018b) in many respects the learning timeframe with the digital mirrors the young’s learning how to speak, and the educational importance of speech. Tellingly both capabilities are largely in place before most governments play any formal role in the children’s education. Unwittingly from birth the parents – and likely the brothers and sisters, and possibly the grandparents – become the child’s first and prime digital ‘teachers’. None of the family have any say in the appointment. Their every move with the digital in the child’s presence, astute or ill-judged, will – like many other aspects of learning – be observed and mimicked. All parents will have seen their mannerisms in using their mobile replayed. 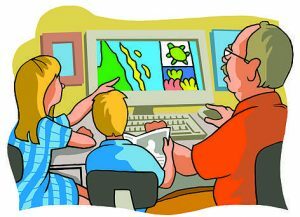 The lesson for all digitally connected families – and not simply the parents – is that if they want their children to use the digital astutely in growing an apt and balanced holistic education the family must model the desired digital usage, the values it wants to grow, and as family agree on the ground rules that will be ‘taught’. If the parents immerse themselves in their own kit – if they immediately respond to every ping and call, even in the middle of a meal – those are the values the child will likely mimic and learn. The bit of being digital that is set in stone from age three is the absolute awareness that being connected aids their learning, and that connectedness is highly visual and aural, as well as being textual, and includes connection with people as well as information. They have probably also internalised that they can interact creatively with the digital environment and everything in it, to aid their learning. Hence the comparison with learning to speak, in that it is messy, diverse, involves a lot of trial and error and has concepts built and rebuilt from a multitude of influences. The potential for learning of kids that are digital is appreciably greater than for those of us who grew up pre-digital, with only our parents and limited friends to ask, verbally not visually. It is a new global reality all families – and indeed educators – need to understand and address. The corollary of this development is that children born into families not digitally connected – by circumstances or parent choice – will not be operating digitally by the age of three. They will likely show few of the attributes of being digital, until they normalise the 24/7/365 use of the digital. To what extent the lag will place them at odds with their peers, will set them apart from their friends, and the children without will be disadvantaged in a digitally connected world we don’t know at this stage. We can however appreciate why nearly all the digitally connected families of the world have chosen to give their children access to the digital technology from birth, and why today across the developed world in the region of 80% plus of pre-primary children (Chaudron, 2015), Johannsen, 2016) (Rideout, 2017) either own or have ready access to a tablet. We can also understand how a three year old girl in a digitally connected family in Nairobi has in a $US22 smartphone the facility, with the support of her family. to fundamentally change that girl’s education and life. The first and most important step for all – parents, older siblings, carers, grandparents, early childhood educators and researchers and governments – is to recognise the new normal, its significance and to openly discuss the myriad of implications that flow from this global societal shift. Not least of those implications is what needs to be done with those families in the developed, underdeveloped and undeveloped world unable to afford digital connectivity for the newborn, and from what age? This entry was posted in 24/7/365 digital education, Being digital, Curriculum for Digital and Socially Networked Society, Digital ecosystems and student learning, Digital normalisation, digitally connected families, early childhood digital normalisation, impact of mobile technology on children's education, laissez faire digital education model, lead role of young and family in digital education, networked schools and society, parent responsibility for digital, parents and smartphones, pre-primary digital normalisation, responsibilities of digitally connected families on May 21, 2018 by mallee. In 1995 Nicholas Negroponte wrote in his seminal work of ‘being digital’. The book didn’t define what was meant by ‘being digital’, but simply exemplified what it was likely to mean. Twenty plus years later, and the movement from an analogue to digital society and with more than half the world digitally connected we can go a long way to clarifying what is ‘being digital’, and to attest why the growth of this capability is critical to the life and education of world’s young, from birth onwards. Over the last twenty plus years, but particularly the last ten society worldwide has largely unwittingly adapted it ways to accommodate the Digital Revolution and naturally evolved a mode of learning with the digital, from birth onwards (Lee and Broadie, 2018). It is the state of being digital. It is already core to the young’s learning worldwide outside the schools, on trend to grow in importance as the digital technologies evolve, becomes increasingly sophisticated and powerful, and digital ecosystems underpin virtually all areas of learning. It is far more than digital proficiency. While dependent on that proficiency, it is a mindset, a mode of thinking, an expression of values, a set of ever rising expectations, an ability to draw on many connected elements, a way of learning and understanding how to learn, a taking charge of one’s own learning, being able to network, to accommodate accelerating change, to continually grow the capabilities and to use them 24/7/365, lifelong. It is a suite of linked attributes that will naturally evolve in harmony with the evolving digital technologies, technological practises and changing social mores. It is a suite that simultaneously draws upon and enhances the other areas of learning. It is moreover a suite that while containing many common features is individualised, with each child in being digital having the capabilities needed to pursue their interests and passions. It is most emphatically far more than a variant of handwriting or digital literacy. It is a connected way of learning that is richer, higher order and more diverse, which can amplify all the non-digital learning interactions. 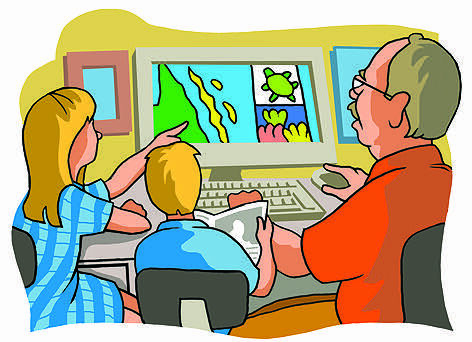 As the children within digitally connected families grow, mature, develop their cognitive, inter and intrapersonal abilities, become sexually aware, build relationships, socially network, operate at a higher order of thinking and continually attune their ways to the evolving technology so they will develop their own form of being digital – and will continue doing so, in subtly different ways, at the various stages of life. Being digital as a low caste child in Mumbai, a Masai herder’s boy, a seven year old girl in Riyadh, a ten year old in outback Australia, an Inuit teen or a sixteen year old in Vancouver, Seoul, Sao Paulo or Edinburgh will in many ways be different. But that said all those young people will also have many common attributes, not least is being digitally connected and able to take charge of their learning with the digital lifelong – albeit in their respective cultures, outside the classroom. The global variability, the continual evolution, and the individualised and highly integrated nature of being digital should quash any moves by education authorities to try and assess the capability, and particularly to try and compare student attainment nationally and internationally. But let us be clear and affirm that the billion plus digitally connected young have never had need for their being digital to be formally assessed (Lee and Broadie, 2018) and that it would be educationally invalid, inappropriate and unnecessary to do so. Rather let’s recognise what being digital is, and appreciate that in many respects it mirrors the development, importance and the way schools handle children’s ability to speak. They both grow naturally from birth onwards, if not earlier. Both likely build on inherent capabilities. With speech those inherent capabilities have been obvious for thousands of years. Being digital draws extensively, particularly with the very young, upon what has been for centuries a largely dormant visual intelligence (Strom and Strom, 2009) that was most obviously brought into play from 2007 and the release of the various touchscreen technologies. While employed increasingly from the 90’s the visuals controls of the iPhone were a game changer, allowing all the young, and not just the teens to readily use and learn with the technology (Lee and Broadie, 2018). The visual cues on the touchscreen suddenly made it simple for those in the first year of life to mimic their parents and siblings use of the technology, and by the age of three to largely establish the approach to learning with the digital they would use lifelong. By three most children born into digitally connected families will have normalised the 24/7/365 use of the digital, to the extent its use is so natural as to be invisible. Both are of critical educational importance in a digital economy, and need to underpin all learning. Tellingly both have been naturally grown by the family, with government and its pre- schools and schools playing a limited or no part, except with children who have difficulties. Tellingly – but invariably forgotten – in an era where the focus is on the basics and testing the young’s ability to speak has rarely been rarely formally assessed. The development has been left to the family. The big difference between the two vital capabilities is that while the importance of speaking has been understood for literally thousands of years the educational centrality of being digital is a long way from being fully appreciated by most in authority. Most governments and schools worldwide have over the last twenty to thirty years have tinkered with aspects of learning with the digital. They have focussed on some of the parts and never the totality of being digital. They have toyed with programming, web design, learning to use Office, cyber safety and more recently coding, but only ever within the school walls, always deciding which aspects of being digital are appropriate to be taught and assessed – and which should not. It is difficult to find schools that have naturally grown Negroponte’s concept of being digital. It is similarly difficult to find schools or education authorities who recognise being digital is a state of mind, with immediate access to an integrated suite of digitally based capabilities, coupled with the facility to use any of the capabilities and the understanding of how to learn when desired 24/7/365. They seem not to have grasped that the suite has evolved naturally, been individually shaped and can’t – like the facility to speak – be validly measured. They most assuredly haven’t been formally recognised in their teaching, assessment or resourcing the young’s being digital outside the school walls, or the central role the digitally connected families of the world have played over the last twenty plus years (Lee and Broadie, 2018) in facilitating and supporting the growth of that development. It is time this critical capability is seen, understood and accorded the kind of recognition given the ability to speak, and the educational, social, economic and logistical implications of being digital addressed as part of a wider contemporary education. The latter we’ll tackle in a follow up article. With the advantage of hindsight and historical analysis (Lee and Broadie, 2018) there might be value in pursuing the reading example further, accepting with being digital that the die will be largely cast by the age of three, that the young of the world will lifelong employ in their use of and learning with the digital the suite of attributes associated with being digital – regardless of what government of schools might desire – and leave the core digitally based education to the families. It is a radical thought, with immense implications, but there is much to be said for formal education complementing and adding value to the work of the digitally connected families, and ceasing senselessly trying to compete with the families in growing the young’s ‘being digital’. At this point in history ask any digitally aware parent or grandparent what they understand by ‘being digital’ and they’ll likely quickly grasp the concept, but initially only at a rudimentary level, and that it will likely be only when prompted will they appreciate the many linked universal elements and their significance. The same folk will likely also pick up the reality that they – like the other 3.65 billion plus digitally connected of all ages are also ‘being digital’. While the strength will vary let’s remember there will be seventy year olds who have played a lead role in using and learning with the digital since the 1970’s who in their thinking and actions have long ‘being digital’. The new but largely unrecognised reality is that in the twenty plus years since Negroponte postulated being digital the world’s digitally connected peoples have become so. This entry was posted in 24/7/365 digital education, 24/7/365 schooling, Being digital, Curriculum for Digital and Socially Networked Society, Digital ecosystems and student learning, digitally connected families, early childhood digital normalisation, impact of mobile technology on children's education, laissez faire digital education model, lead role of young and family in digital education, networked family, parents and smartphones, pre-primary digital normalisation, responsibilities of digitally connected families on May 9, 2018 by mallee. The article posted yesterday on the young’s out of school learning with the digital raises all manner of questions, and potentially has many profound implications for the education and schooling of the young. It addresses a series of global developments that have thus far rarely been discussed or even considered by educators. In this brief post, I’d like to flag but a few, and bid folk think about the implications. What the history of the last twenty plus year’s reveals is that a billion plus digitally connected young worldwide have of their own volition, in a completely laissez faire environment, naturally learned a suite of common capabilities. All emerged unplanned, unintended from the seeming chaos of the Digital Revolution. Most schools, teachers and governments have played no part in that learning, and the digital connectivity of near on 60% of the world’s young. Of note is that by as early as 1998 the Tapscott research had noted the natural informal learning at play in the emergence of the universal mores the young of the world had adopted in their use of the Net. In 2004, a very good Futurelab study by Sefton-Green succinctly flagged the growing importance of the informal out of school learning with the digital – at a point before the full impact of the mobile and particularly the smartphone technology had kicked in. In readying the Digitally Connected Families Roger Broadie and I identified as mentioned 28 common capabilities. Depending how on how one does the clarification there could be 26 – there could be 30. What was clear was that out of the seeming chaos had come order. That challenged the concept that all learning had to be planned, structured and sequential – and taught by school teachers. Focus on learning how to learn. Of note in yesterday’s paper is that only about a quarter of the common capabilities had to do with the digital proficiency. The rest had to do with how an empowered young, directing their own learning with the digital learned how to learn – to take charge of all their learning with the technology, and to position themselves to do so lifelong. And critically to do so in any area of learning they wish. The great educational thinkers have long urged the development of this key capability but it is rarely tackled in schools. The implications of this development alone are profound – particularly as the technology becomes more sophisticated. The third point relates to the sustained naturally evolving nature of the learningwith the digital. In contrast to the schools there was in the learning no sense of a beginning or an ending, rather the sense that learning with the digital would be on-going, lifelong, naturally evolving and changing as the technology evolved. Outside the school one is looking at a dynamic model – while that in the school is constant. Within the school seemingly there must always be a specified period for the learning – specified outcomes to be achieved and specified pass grade, after which one can say the learning has been done. Telling with the out of school the only assessment is personal. There is moreover an acceptance of the imperative of continually staying current lifelong. The fourth issue is the ability of schools to genuinely assist the learning with the digital. The time has come to seriously ask can schools assist enhance the out of school learning with the digital – or might most hold it back? Aside from the exceptional, most schools, even if they wanted to assist, would be unwilling to accept the five conditions critical to achieving digital normalization. And sadly, most schools as linear hierarchical Industrial Age organisations, tightly constrained by government lack the agility/the flexibility to remain abreast of the accelerating technological change – and to support kids operating at the cutting edge – even they were of a mind to do so! As we move at pace to a totally digitally connected planet, with near every child from around age three normalizing the 24/7/365 use of the digital it is time to start discussing the likely implications – rather than opting to ban and totally abrogate the responsibility. This entry was posted in 24/7/365 digital education, 24/7/365 schooling, Digital ecosystems and student learning, Digital normalisation, digital transformation, digitally connected families, impact of mobile technology on children's education, laissez faire digital education model, parent responsibility for digital, parents and smartphones, responsibilities of digitally connected families, Unintended benefits digital schooling on March 28, 2018 by mallee. The last twenty plus years reveal how successful the young of the world and their digitally connected families have been in learning with the digital informally in a naturally sustained manner – albeit outside the school walls (Lee and Broadie, 2018). Sadly, that learning, like the success of the digitally connected families has been largely unseen. It is time it is. and its global and historic significance is recognised, and the vital learning built upon. Most when thinking about the young’s learning with the digital focus on the technological proficiency of the billion plus digitally connected young. That proficiency with the current personal technologies is critical to the young’s all pervasive use and learning with the digital. However, in the total scheme of things far more important is the young, with the support of their families naturally taking charge of their learning with the technology, learning how to learn of their volition and with others, and being able to naturally sustain the learning in whatever domain/s they wish, lifelong. Remarkably the billion plus digitally connected young have in a completely laissez faire, seemingly chaotic world in their use and learning with the digital naturally grown a suite of remarkably common capabilities. None of them have been planned, but are a natural unintended flow on from the Digital Revolution and the digital empowerment of the young. We’ve identified twenty-eight (Lee and Broadie, in press). Time and research might identify a few more, or few less. What is important is that three quarters of the capabilities relate to the young’s learning how to learn, and only a quarter with the digital proficiency. All are capabilities the young learn very early, well before school age and then grow throughout life. With each child taking charge of his/her learning with the digital, and pursuing their interests and passions in addition to the common capabilities each will also have their own special capabilities, some being of a very high order. A telling and fundamental difference between the young’s learning with the digital in and outside the school walls is that while of the school learning is constant that outside is dynamic, and naturally evolving, lifelong. It is a significant difference, that few have noted. In the school teaching the experts determine what is to be learned, how, by when and how it will be assessed and reported upon at the course conclusion. There is very much a beginning and an ending, and with the final assessment the sense that the learning – or at least a segment of – is completed. In contrast the learning with the digital outside the school is decided upon and directed by the learner, learning what is desired, when and how, with there being no obvious beginning or end to the learning. It begins at birth and will likely continue to death, as the digital continues its evolution. The control and nature of the learning will evolve in harmony with the technological change, going a long way to ensuring the young naturally accommodate exponential change. The digital proficiency of the young is probably best expressed in the reality that near 60%, soon to be 70% of the world’s young are digitally connected (Ericsson, 2016), (Futuresource, 2017) and have normalised the 24/7/365 use of the current personal technologies in most every facet of their lives and learning. The proficiency has to do with what the young at various stages of life want to do with the digital in their daily lives now, rather than what the ‘experts’ believe should be mastered for future application. While the level of proficiency will vary with age, interest, expertise and support the bottom line for the first time in human history over half the world’s young are digitally connected, on trend in not many years for virtually all to be connected, able to instantly access and work largely unfettered the learning and resources of the networked world. It a stark new reality, with immense implications that most governments, bureaucrats and schools have yet to seemingly grasp. As is the reality that the young of the world have learnt – and will forever on learn – what they want, not simply what those in authority desire. Moreover, twenty plus years reveals the digitally connected young will continue to grow the capabilities they desire outside the school walls – regardless of what governments or schools believe is important. In their learning, they have demonstrated from around age three their ability to readily work the core functionality of the current personal and family digital technologies (Chaudron, 2015) – the smartphones, tablets remote controls, digital peripherals, games consoles, digital and video cameras, digital TVs, PVRs, home entertainment systems and the increasingly integrated family ecosystem. Well before they can read, or start school they have learned to navigate the networked world and use the apt medium to access the desired functions. Moreover, they have learnt to use the various digital communications facilities, largely toll free, strongly favouring the latest video communication technologies. Over the last twenty plus years they have also learnt to use the new media creatively in the pursuit of their passions, unbounded by the traditional ways, and once again to do so from a very early age. You’ve undoubtedly observed the many diverse and creative ways your own children or grandchildren have used the technology. Contrary to the views expressed by many politicians and older members of society the research affirms (Lenhart, et.al, 2013). (Lee and Broadie, in press) teens have for many years been tech-savvy. Invariably they – operating as they are at the cutting edge – understand the dangers well before their elders and the policy makers. That said the very young, with still forming minds require family guidance, and in general terms are not cognitively ready to use the Net unsupervised until around ten (Strom and Strom, 2010). In examining the learning with the digital outside the school walls over the last twenty plus years what stands out is the young’s ability to take charge of their learning, to do so from the outset, to direct and individualise that learning and to learn how to learn (Lee and Broadie, 2018). And as indicated to do so in a naturally sustained manner lifelong. With their strong digital mindset, and rising expectations the digital technology underpins all their learning. Their first step is to use the digital and the connectivity, unlike many older folk who default to the traditional ways. Allied is their ability to teach other folk, particularly those older to use the new technology, and naturally contribute to the family’s learning. They very quickly – well before formal schooling – become self-learners, with that vital educational ability to shape their learning with the digital, underpinning all they do. In being empowered and trusted, and given the freedom to use the technology largely unfettered they soon learn what they want to learn, how and when, and vitally quickly identify when they need to improve that capability and how best to do so. They very quickly, from the mid 90’s onwards, and from early life learned the art of improving the learning by themselves, with the aid of the technology or in collaboration with the family, peers and social network (Lee and Broadie, 2018). 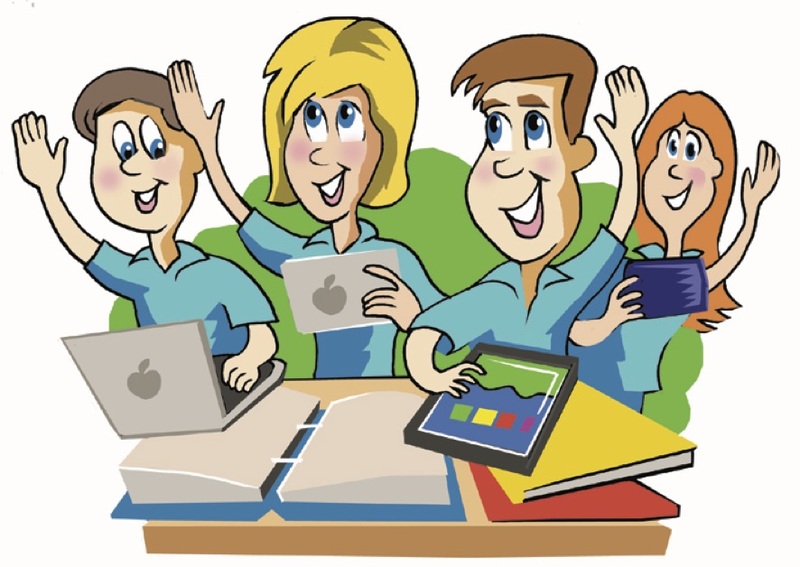 As the Pew research notes (Purcell, et.al, 2012) Google, YouTube, Wikipedia and the peers are called upon far more than any teacher. And they don’t need to be tested! Like all of us they reflect on their performance and when desired improved it. In being free to use the digital as desired the young soon learn to use the technology and the Net to pursue their interests and passions, enhancing their learning in the area/s of interest, to an often very considerable extent (Ito, et.al, 2013). It matters not if it is pursuing an interest in contemporary music, astronomy, blogging, fashion design, apiary, drone piloting, professional gaming or coding apps. While kids have always had this freedom in their informal learning the parent’s provision of the technology overnight removed the traditional adult gatekeepers and allowed them to draw upon resources of the Net, the moment desired. It moreover enabled them to decide the best approach to the learning. They – and not an adult – decide when to employ a discovery based, didactic or highly repetitive learning approach. Similarly, each child chooses the digital tools they needed for the task at hand. From the mid 90’s the adolescents and in time the very young – like all of us – soon learned the unwritten ways of the digital and online worlds, the parameters to work within, the universal mores to be observed and when they had crossed the boundaries. Allied, in taking charge of the use of and learning with the digital the young from the 1990s have made extensive and increasing use of the connected world and human networking, it long being a natural, almost invisible part of their normalised use of the digital. Unwittingly, and initially unseen, the young increasingly build the number of contacts they can readily call upon for all manner of support when desired. Very quickly the young abandoned the traditional academic boundaries used in the schools, and adopted a more integrated approach to learning, drawing on whatever areas of learning thought suitable (Lee and Broadie, in press). Largely unseen the young also learned to make ever greater use of their visual intelligence in all they did. This was particularly apparent in the two and three-year old children’s use of the touchscreen mobile technology (Chaubron, 2015), but it was – as you might have noted – apparent at all age levels and in the burgeoning use of video and images. From the mid 2000’s the young increasingly grew the art of mobile learning, and using the resources in their hands, 24/7/365, just in time and in context. That preference for the mobile technologies is evidenced even when at home, where desktops in designated rooms gather dust. The young from very early in life don’t see the need to learn only in a physical place; unlike governments and schools that remain site fixated. What should be stressed is that these are all vital educational capabilities in a rapidly evolving, uncertain and complex world, where it is essential to know how to learn with the digital, lifelong. They might not feature in government education priorities but they are the vital generic capabilities the great educational thinkers have been arguing schools should develop for aeons. Over the last quarter of a century the young of the world have in historic terms learned to learn with the digital remarkably quickly and well, not only continually enhancing their digital proficiency but also their ability to take charge of their own learning with the technology. However, the exponential digital evolution, with its increasingly powerful, sophisticated, integrated and complex technology and practises, and their global impact demands the world’s young continually enhance their capability. Much will on current trends will continue to happen naturally. As the technology evolves so naturally will the requisite personal learning. But there is the opportunity to lift the learning with the digital even higher, particularly now we better understand what has been learned and how. The natural inclination is to look to schools to provide that enhancement. Sadly, twenty plus years of history (Lee and Broadie, 2018) suggests aside from some exceptional schools that enhancement is not likely to come from them. Not only aren’t most of a mind to collaborate with the families, nor are culturally ready to embrace the five critical conditions required but all are still operating in linear, hierarchical Industrial Age organisations that lack the agility to accommodate accelerating change – even if governments allowed the schools to change. Most lag so far behind where the young are at attitudinally and with the cutting-edge technologies all they would do is impede the young’s enhancement. We accept that governments and most educators would not be of that view. But the reality is that governments and schools that ban or markedly constrain the in-class use of the student’s mobile technologies and by default throw the responsibility to the family are not likely to provide any worthwhile assistance. The enhancement most likely will come from the family building upon its better understanding the learning with the digital, its increasingly powerful digitally based ecosystem and it more deliberately growing the learning. It is its better understanding of how to learn, providing an increasingly sophisticated and powerful ecosystem, and as family more openly addressing the enhancement that will bring the improvement. It will hopefully in time be the digitally connected families of the world shouting from the rooftops what they have achieved that will open society’s, government’s and school’s eyes to what has been achieved and what is possible. The best learning practice with the digital has for years been evidenced in the digitally connected families of the world – and most assuredly not in its Industrial Age schools. It is appreciated this view runs counter to the in-school and government thinking but it is time for educators and governments to look outside the school walls and recognise the natural sustained learning with the digital that has occurred, and is occurring daily, with most of the world’s young – outside the school. With the digital it is imperative to examine what has happened, is happening and the major global trends, not simply at what governments want to happen. In the natural, sustained learning with the digital most schools and governments have long been dealt out of the main game. Futuresource (2017) Unpublished market data provided personally. This entry was posted in 24/7/365 digital education, 24/7/365 schooling, Digital ecosystems and student learning, Digital normalisation, digitally connected families, impact of mobile technology on children's education, laissez faire digital education model, lead role of young and family in digital education, parent responsibility for digital, parents and smartphones, responsibilities of digitally connected families, The Digital and Empowerment, Unintended benefits digital schooling on March 27, 2018 by mallee.